China’s first space station, perhaps, is gearing up to receive core module in sometime around 2018. A senior official from Chinese space station broke the news to a local news agency, Xinhua, on Thursday. According to him, the idea for the launch of the core module is part of strategy i.e. to set up China’s first space station (manned) permanently in sometime around 2022. The Chinese space station is planned to be positioned in Low Earth orbit. Named as Tiangong Space Station, this large modular China’s first space station (third-generation) is a division of the Chinese space program. The operations will be controlled by Beijing Aerospace Command and Control Center. The space station will enhance the ability of researchers to conduct various science experiments in the space environment and microgravity i.e. freefall. This will take place beyond the time duration offered by man-tended modules and artificial satellites of China. Chinese President Xi Jinping wants China to emerge as one of the leading space powers. Introducing advancements in Chinese space programme is considered as one of the major priorities of Chinese President. According to Chinese officials, the space programme offered by the company is meant for peaceful intentions. But, the U.S. Defense Department, on the contrary, pointed out its growing space abilities. They’re claiming that the strategy of space station used by China aims to prevent foes from using assets that are based on space during the time of crisis. Spokesman Wang Zhongyang from the China Aerospace Science and Technology Corp. said that core module will be known as the ‘Tianhe-1’, which is a Chinese word for Milky Way or Galaxy. "Two space labs will be launched later and dock with the core module, Tianhe-1," Further, Zhongyang said. 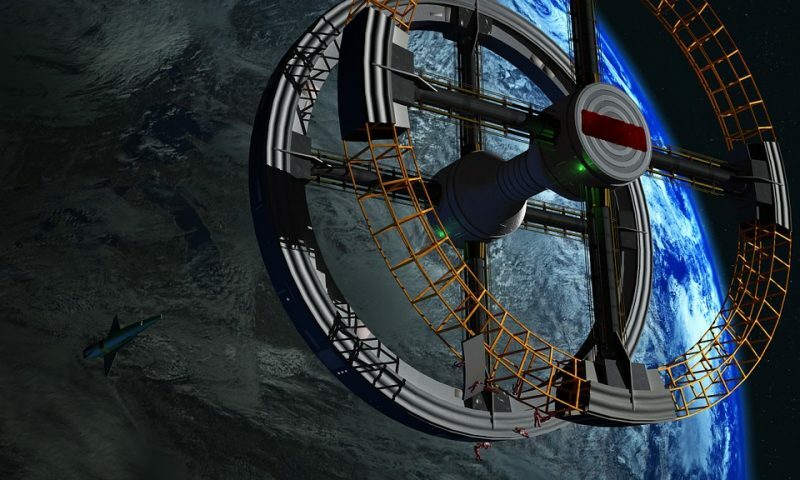 "The construction of the space station is expected to finish in 2022." He added, "If the International Space Station, which has extended its service, is retired by 2024, China's new space station will be the only operational one in outer space." Three Chinese astronauts, in a manned Chinese space station, spent fifteen days in experimental space laboratory, Tiangong (Heavenly Palace) 1, docked in orbit. This year, however, China is launching Shenzhou 11 and Tiangong 2 spacecraft. It will take two astronauts and most importantly it will dock with China’s Tiangong 2. In 2017, the first cargo ship of china, Tianzhou 1, will also attempt to dock with the same Tiangong 2. China also plans a space telescope similar to the Hubble Space Telescope, which will "be in a separate space unit and share orbit alongside the space station," Wang said. China has been advancing to develop the space programme for scientific, military, and commercial purposes. But still it has a long way to go in order to catch up with leading space powers like Russia and the United States.